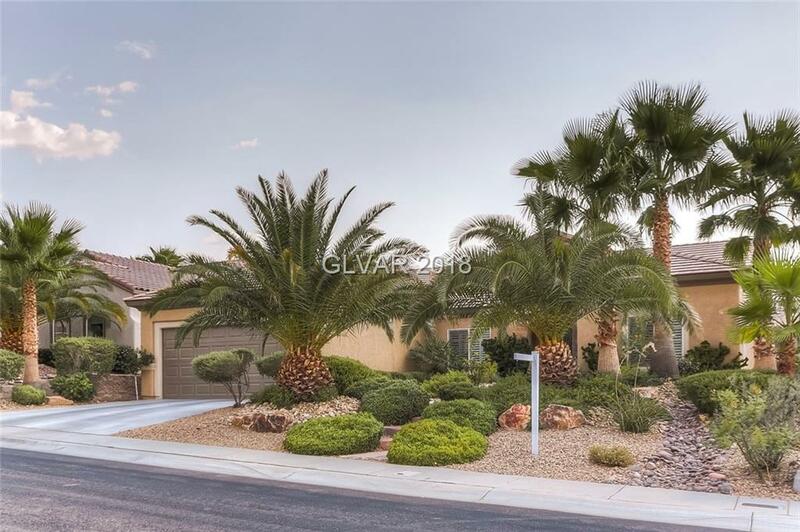 BEAUTIFUL LINCOLN MODEL IN PRISTINE CONDITION IN QUIET SHADOW CANYON VILLAGE LOCATION !!!! TILE THROUGHOUT MAIN AREAS, HARDWOOD IN DEN/OFFICE, GRANITE COUNTERS IN KITCHEN, MAPLE CABINETS, WOOD SHUTTERS, CEILING FANS IN ALL ROOMS, CUSTOM BUILT PATIO COVER, BACKYARD PUTTING GREEN, LUSH LANDSCAPING IN FRONT/BACK THAT HAS ALWAYS BEEN PROFESSIONAL MAINTAINED, NEW EXTERIOR PAINT, WATER TREATMENT SYSTEM. MOVE-IN READY CONDITION ......THIS IS A MUST SEE! Directions: Anthem Pkwy And Hampton, S Anthem Pkwy, Left On Atchley, Left On Shadow Canyon, Left On Lewiston, Right On Bannerwood, Left On Gunnison.